﻿ Amrap's AirIt | Australian Music Radio Airplay Project :: Electronic :: Philosophy Of Sound - Freedom, What For? Amrap's AirIt | Australian Music Radio Airplay Project :: Electronic :: Philosophy Of Sound - Freedom, What For? 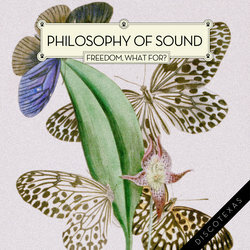 Philosophy Of Sound - Freedom, What For? Taking in the Australian festivals circuit Koshowko also entered the global Dance scene with touring to Germany. It was at the mixing stage when Philosophy Of Sound also gained the talents of producer John Salmon. With an international background as a DJ performing across Europe’s Festival circuit and producer of projects like Freeform Human (Gi'iwa), John’s ear brought the missing element to the project. Philosophy Of Sound also collaborated with many talented musicians, including two most intriguing vocalists: Melbourne’s Magnolia and New York based Mereki Beach (Peacocks). In addition, lyrics to the track ‘Ugliest Twenties’ were written by Tom Ellard from the iconic act Severed Heads. In late 2011 Philosophy of Sound released the single ‘It Is Like That’ on Portugal independent Dance label Discotexas. Featuring a remix by Ilya Santana (Eskimo Records) alongside the original version, the single was complimented with an exciting video clip and recognised as “staff pick” by Beatport. Delivering not only food for the feet but also for thought, ‘Freedom, What For’ raises the bar in conscious dance music lyrics.